Your organization has worked hard to build a trustworthy brand that attracts new members and it’s paid off. 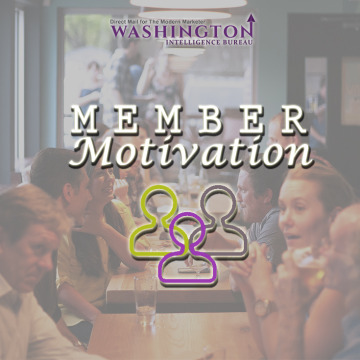 Now that you have a large membership, how do you keep them actively engaged? To answer this question, you must first look at why your members have chosen to join your organization in the first place. Polling new members as part of the registration process will help you to best asses why they have selected to become a part of your organization and what it is they are looking for. Whatever their reason — they are now part of your membership and you want to keep them actively engaged. Approximately 50% of those joining a new professional organization do so during the first 5 years in the industry. For them, you want to offer online learning opportunities and professional development classes. This will keep your newer members engaged but you’ll want to gear opportunities to your seasoned members as well. They are looking for more advanced training that includes updates on new developments and trends in the industry. A balanced calendar of opportunities will keep all of your members happily engaged. Whether they are new to the workforce or been in the industry for decades, well planned events will garner a rise in engagement from your membership. Annual conferences are a must. They should offer multiple tracks so there are sessions available for everyone regardless of where they are in their career. Offering smaller, local events that put some emphasis on social in addition to professional growth will keep members active year round. This is a great opportunity to have your legacy members lead a roundtable or host newer ones at a happy hour. Ultimately, members look to professional organizations to provide them with industry specific information. Being the first to share new trends or developments will boost appeal of your organization to your member base. Whitepapers, regular newsletters (digital and paper) along with a strong web and social media presence are all ways to share updates with your membership. Remember to keep the content fresh and memorable. Provide ample opportunity for members to share their thoughts and give you feedback. Solicit their thoughts after each event you hold — not just your large, annual conference. Once you have the feedback be sure to act on it — or at the very least, acknowledge it. Members will happily take the time to provide you feedback as long as they know it isn’t falling upon deaf ears. How does your organization keep members engaged?